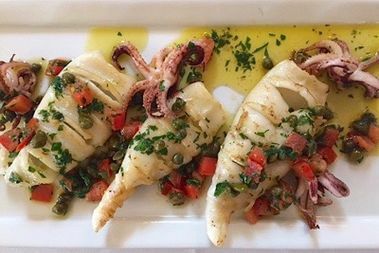 Sal's Trattoria will serve traditional Italian pasta and small plates, like this grilled calamari. LAKEVIEW — A new restaurant opening in an historic corner storefront with a dark past will look to find success where short-lived predecessors have flopped. Sal's Trattoria will open in a couple weeks at 2834 N. Southport Ave. The Italian eatery replaces Mirador, which closed in February 2016 on its first anniversary. 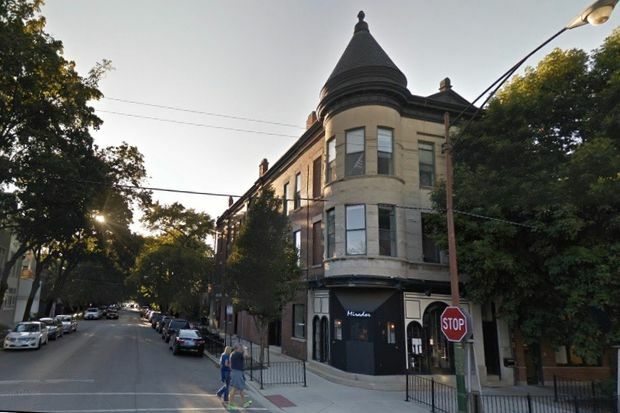 The owners of Butcher & the Burger in Lincoln Park hope to bring back classic Italian fare to the southwest Lakeview block, which is also home to Diag Bar & Grill and 404 Wine Bar. "We were really taken by this location, with its central neighborhood position and the building's charming structure," co-owner Joseph Arnold said. "It inspired us to create a spot for those living nearby that cherish family dining options." Chef Allen Sternweiler has crafted a robust menu, heavy on the rich pasta dishes like a spinach and goat cheese ravioli in a tomato cream sauce and daily specials that give diners a chance to explore novelties like pheasant, rabbit or wild boar. "We wanted to keep the dishes simple and packed with flavor," Sternweiler said. "I've always loved this style of cooking, and the breadth afforded by Italian cuisine allows us to cater to a full spectrum of diners and their appetites." Traditional Italian entrees include gnocchi with crispy prosciutto and mushrooms, while the chicken saltimbocca, wrapped in slices of prosciutto and provolone, features a side of mascarpone polenta. Entrees are $15-$29, with the option of adding sides like pecorino whipped potatoes or sauteéd rapini for $5-$8. The menu also features a range of salads and small-plated antipasti ranging from a $6 daily selection of crostinis to broiled parmesan shrimp for $14. Bearing the restaurant's name are Sal's Italian white beans, a creamy dish paired with smoked ham ragú. All dishes are offered in half portions for children, giving families an affordable way to take the family out for made-from-scratch Italian in the neighborhood. Sal's will initially allow customers to bring their own alcohol until its liquor license is in place, after which the restaurant will have cocktails, wine and beer. Sal's will be closed on Mondays and weekend brunch is expected to start later in the summer. Sal's will also have 48 seats within a outdoor sidewalk patio. Renovations began in late March for the 62-person dining room. Buttercream-colored walls surround gray velvet banquettes near the wood-carved bar. The 120-year-old building now home to Sal's Trattoria has been a funeral home, a brothel and, more recently, the scene of a gruesome murder. For 30 years, Lucca's Restaurant was an Italian fixture on the corner, but its prosperity came to a devastating halt in 2008, when manager Randall Hilderbrand was slain in the restaurant's basement. David Sidener, now 58, was sentenced to life in prison for what a judge called a "cold" and "calculating" murder, which he denied committing but was convicted of in 2011. The two were out drinking on an October night and returned to Lucca's so Hilderbrand could cook them a meal, prosecutors said. Sidener, who was on parole for attempted murder, turned on Hilderbrand and bound him to a pole. After a vicious beating, Hilderbrand was left to die as Sidener ransacked the restaurant. Lucca's closed shortly after Hilderbrand's death, and none of its replacements have come close to the 30 years it lasted at the corner of Southport and Wolfram. Palette Bistro, a romantic contemporary eatery, was open for three years until 2012, with even briefer stints from Bentley's Tavern and Mirador. In over a century 2834 N. Southport Ave. has enjoyed a colorful history, as revealed in menus from Lucca's. It began as a funeral home in the late 1800s before the Brieske family moved their funeral business and replaced it with a grocery store called Brieske's Pale of Ale. Later on, the building was an accordion music school and, eventually, a "well-known house of ill repute" called Le Pink Pussycat, the menu said.